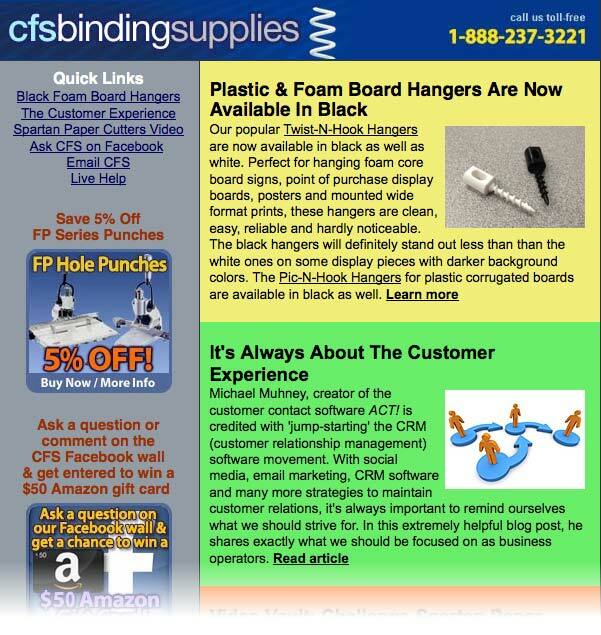 Question Corner: Does CFS Binding Supplies sell used or refurbished equipment? 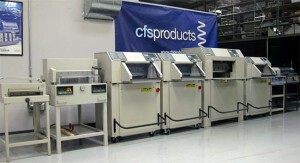 A: Absolutely – CFS Binding Supplies offers a wide selection of used and refurbished equipment! Most of this equipment is taken back through our National Recycling Program and everything is refurbished or rebuilt by our in-house technical staff. We back all of our used/refurbished equipment with our 15-Day Guarantee and also offer Free On-Site Installation for any machine over $2,000! Our inventory is constantly changing, so email us or call us at 1-888-237-3221 for the latest stock, pictures and pricing! Do you have a product suggestion for items that you’d like to see us carry. Make a suggestion in the comments below. Have you ever been utterly lost and confused when trying to make a purchase? Sorting through different models, options, and upgrades ever make your head spin? This happened to me just a couple weeks ago while trying to buy a sewing machine for my wife. I didn’t have a clue what I was looking for and my web research only confirmed the fact that I knew nothing about this craft. I needed help, so I decided to start with the biggest fabric store that I knew of. Upon my arrival, I was introduced to a woman who was obviously a Jedi Master of sewing. She sat me down and walked me through Sewing Machine 101, then easily recommended a model for my wife. She knew absolutely everything about sewing and I felt confident in her recommendation. Needless to say, my wife was thrilled and I looked like a hero. We often sense this type of confusion with our customers when it comes to finding a paper cutter. And as the main supplier of cutters to FedEx Office and OfficeMax, we’re happy to share our expertise with you. It would take much more than a quick, 2-minute blog to explain all of the cutter models that we carry, so let’s try to get you pointed in the right direction by first identifying the type of cutter that you’re looking for. Single Sheet – these machines are called rotary trimmers and are designed to cut one sheet of paper or laminate at a time. Multiple Sheets / Stacks – known as guillotine or knife cutters, these machines are designed to cut stacks of paper all at once. Tabletop / Ruler – models designed for cutting on a tabletop. Wall-Mount – upright cutter, making trimming of foamboard easy and hands free. Corner Rounders – for cutting rounded off edges on paper or plastic. Passport Photo Cutter – cuts a perfect 2” x 2” passport photo. Use the information above to determine the type of cuter you are looking for, then click over to our website to find the best make/model for your application. Still not sure? Just contact us for help. I might even be able to recommend a good sewing machine! Got a story about a confusing purchase that you’ve had to make? Share it in the comments below. 2-Minute Tuesday: Paper Cutter Mag Pads – Protect Those Documents! Working in the document finishing industry can be a curse – every time I’m handed a menu at a restaurant, I immediately scrutinize the binding method that was used. I do the same thing at a bookstore; before looking at the content of a book, I check the spine, cover and signature pages to see how well the book is constructed. It absolutely drives my wife crazy! I’ve purchased a few books recently that were obviously printed on-demand as one-off orders. Technology has enabled printers to print one book at a time and I have no doubt that this trend will continue to grow. The process to bind these one-off books is a bit different than traditional book binding methods and uses much lower-end equipment. One of the on-demand books that I received had a spine that was obviously crushed by the paper cutter that was used to trim the book’s edges. I’m guessing that the printer didn’t adjust the clamp pressure, so I thought I would make a recommendation for them. The solution? Magnetic Cutter Clamp Pads…or as we like to call them, Magpads. Magpads attach to the clamp of a cutter – this is the part of the cutter that holds the stack in place while the cut occurs – and does so with great force. When you’re cutting stacks of paper, this tremendous force is usually fine, but with delicate Perfect Bound books you can easily crush the spine of the book. Magpads provide enough cushion to eliminate this problem and will keep the spines of your books safe and sound. And these aren’t just useful for books. If your cutter clamp is marking any paper at all, especially carbonless forms, a Magpad will take care of the problem. So don’t waste your time adjusting the clamp pressure on your cutter for a single, delicate job – just slap on a Magpad and you’re good to go! Got a good cutter tip for us? Please share it as a comment below.